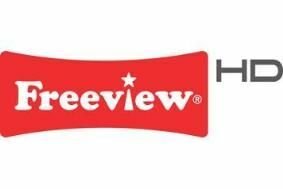 Freeview claims 350,000 Sky HD subscribers might switch to free HD TV | What Hi-Fi? Research commissioned by Freeview HD claims that more than 350,000 Sky+ HD customers may switch to the free-to-air digital terrestrial HD service in the next six months. The YouGov survey of 2063 adults said 17 per cent of Sky subscribers with Sky+ HD indicated they were "likely" to switch their main TV viewing to Freeview HD, a total of about 360,000 homes. And 18 per cent of the remaining UK analogue TV homes were also likely to switch to Freeview HD, the survey found. The first Freeview HD set-top boxes are due to go on sale next month from around £170-£299. And the BBC has already begun Freeview HD transmissions in certain parts of the country. The initial plan is to offer three HD channels: BBC HD, ITV HD and C4 HD. A fourth, likely to be Channel Five, is due to be added at the end of the year. "If people want sport or big-budget premium movies, then clearly Sky has a very strong offer," says Ilse Howling, Freeview's managing director. "If people want a public service version of HD – BBC, ITV and C4 – then Freeview has a very strong offer." Freeview plans to launch a big marketing push for its new HD channels, with the strapline "Buy now, watch today, free forever". You'll be able to read a full review of the Humax HD-Fox T2 set-top box in the April issue of What Hi-Fi? Sound and Vision, on sale March 10th.